We're hosting a Suzuki test riding special event over the weekend. With demo's and deals, this will not be a day to be missed! As always, there will be a good selection of Suzuki's available for demo rides. 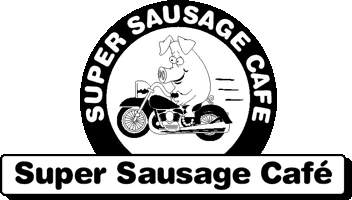 The Kettle club will be meeting up 07:30 for breakfast at the Super Sausage Cafe. Before setting off to the Brackley Festival of Motorcycling. Day of Champions is when the stars of MotoGP™ come together to help support the official charity of MotoGP™- Two Wheels for Life. A great day out for the whole family including access to the Day of Champions auction, live music and stunt displays. We're hosting a 2nd Suzuki test riding event over a weekend this year. As always, there will be a good selection of Suzuki's available for demo rides. Please note, you won't be able to book a test ride for this event until the one in June has finished. - Aprilia & moto guzzi test ride weekends. Details will be posted when authorised to do so by the event holders.